Enjoy your food on the go guilt-free with this Cambridge One in a Melon and Hello Lovely lunch boxes, made from eco-friendly bamboo. Lightweight, durable and dishwasher safe, each lunch box features a colourful design, fun slogan and a pink silicone belt to secure the lid. 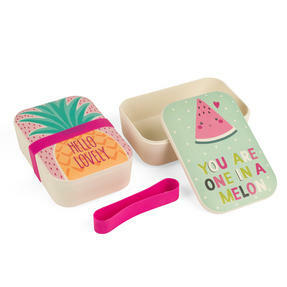 Beautifully compact, the boxes measure 19 x 12.5 x 5.5cm each, suitable for carrying in your bag and enjoying your favourite dishes anywhere - the perfect size for healthy snacks or taking a delicious homemade meal to work. 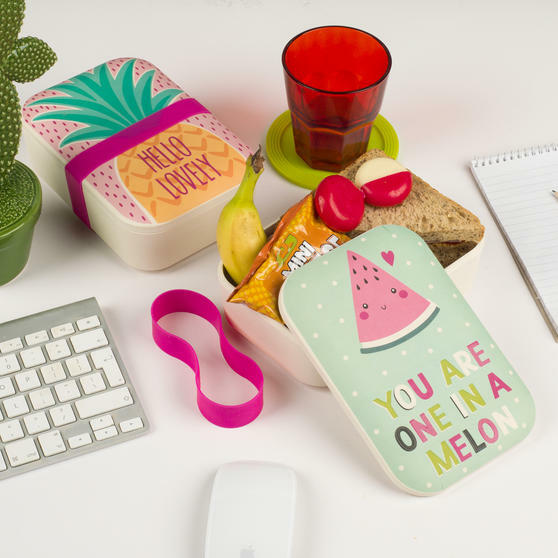 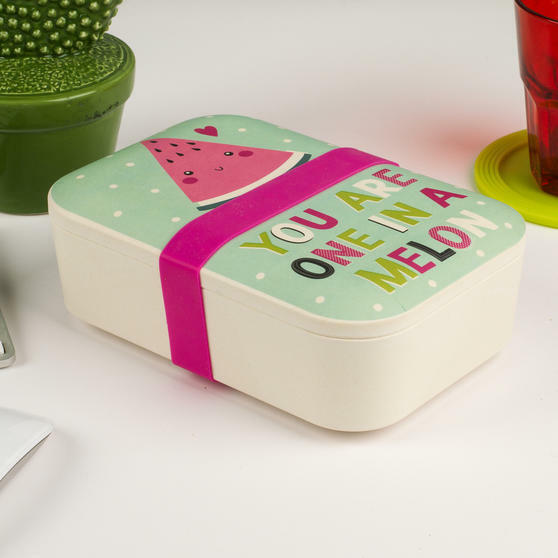 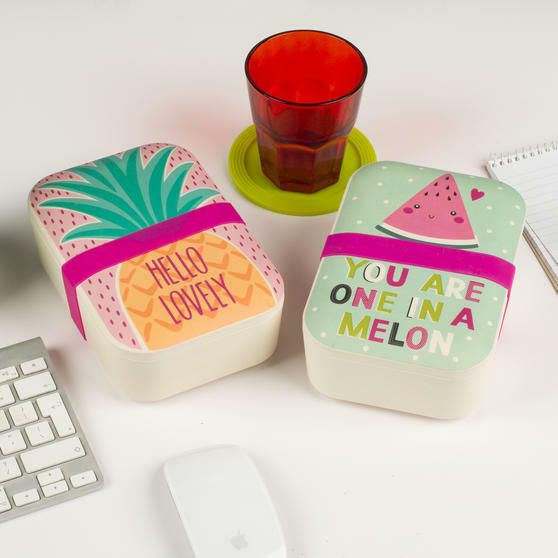 Brighten your lunch break with these Cambridge One in a Melon and Hello Lovely lunch boxes, with fun designs and secure silicone belt. 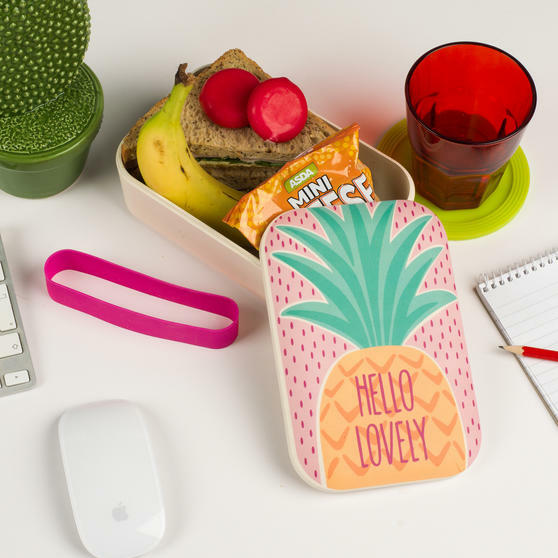 Made from eco-friendly bamboo, naturally sustainable and BPA free, help save the environment and save money on shop-bought lunches. 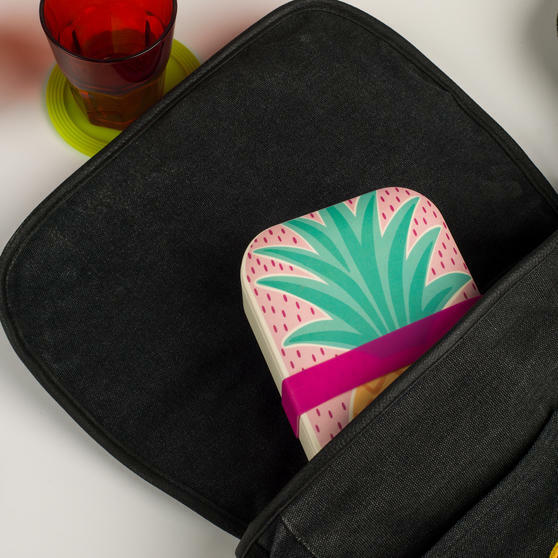 Conveniently dishwasher safe for effortless cleaning, bamboo remains tasteless and odourless after each wash, ideal for everyday use. 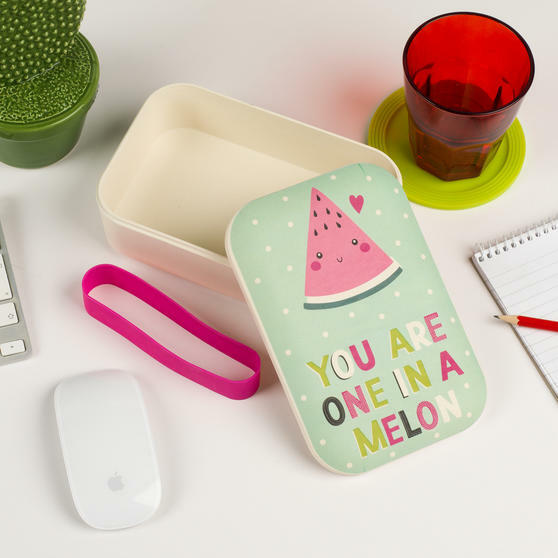 Generously sized at 19 x 12.5 x 5.5 cm, the lunch boxes are perfect for healthy portions, stylish food storage and lunches on days out. 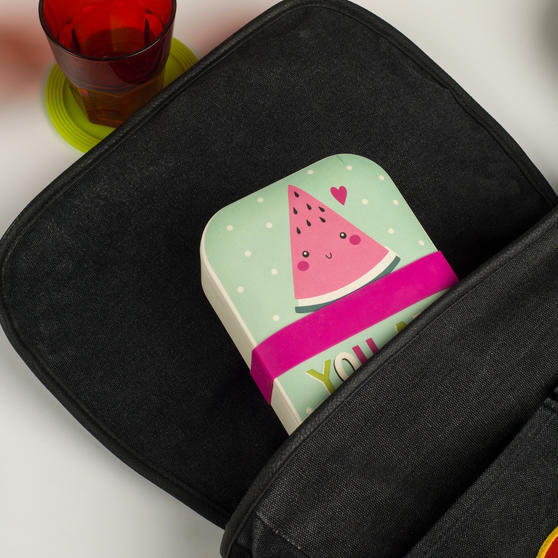 Brilliantly durable, portable, resistant to stains and suitable to use with utensils, enjoy tasty salads, sandwiches, sushi and more.